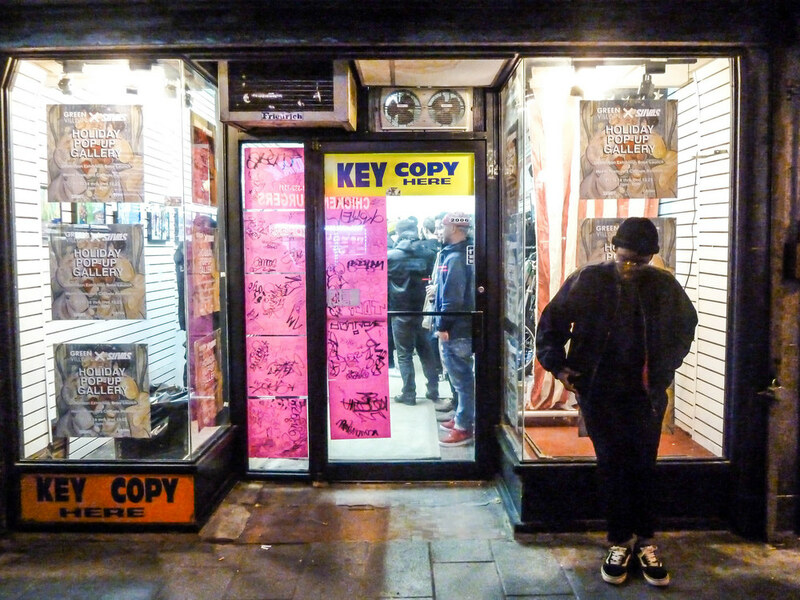 Originally throwing parties at Green Villain warehouse, Jersey City’s Cloy, Em-Et & Hilla founded Green Village in 2014 and have since put out vinyl only releases featuring Franklin De Costa, Dakini9, Nicuri and Policy. DJ Spider, who appeared on Green Village’s ‘Village Elders’ comp, needs little introduction as one of the most prolific East Coast producers. Renowned for being at the forefront of the re-emergence of New York’s house and techno scene in 2008, DJ Spider has made numerous appearances at Berghain, FreeRotatation and Concrete, not to mention prestigious imprints like The Trilogy Tapes, Killekill, Rekids, and many others. Comprised of various ethereal elements, ‘Space Jungle’ is a deep and meandering production that’s anything but straightforward. ‘Satsang’ then combines tranquil chords with an ever-evolving infectious melody before ‘Divide & Conquer’ demonstrates a compelling groove with twisted samples and shadowy effects. ‘Urantia of Nebadon’ then concludes the package with menacing synths and distorted nuances. ‘Some of these tracks date back to 2006 when I had my studio on 212th Street in Manhattan! Some others were recorded in my old studio in the Bronx as well. This record has oldies, but goodies’ - DJ Spider. DJ Spider ‘1º EP’ is released on Vinyl only on 21st March 2017. Pre Order here on Juno. Since the release of The Demolition Exhibition Photo Book in 2015 we have been mentally preparing for it's follow up. 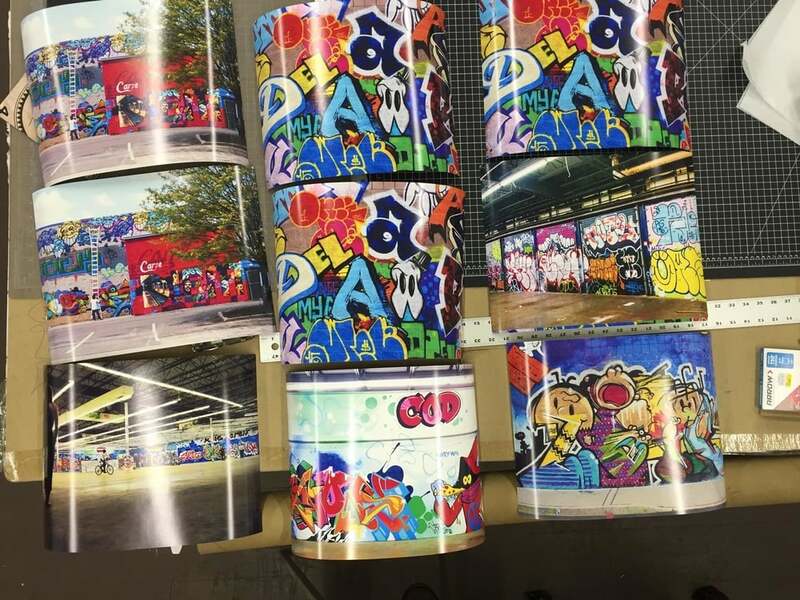 Our next publication retells the story of the platform we created in 2014 and how it evolved into a regional mural program spanning 32 locations around New Jersey and New York. 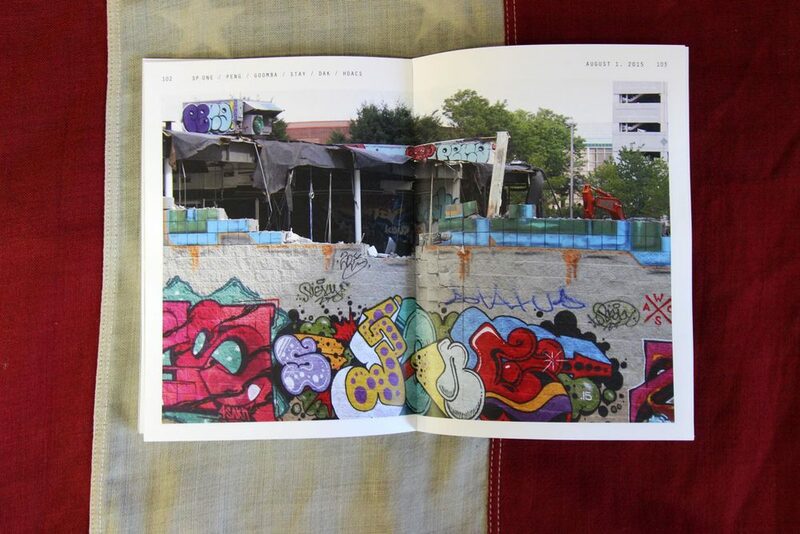 Though many sites have been destroyed or at least been painted over, this book will be a snapshot in time and a true testament to what we believe belongs in our streets and furthermore what our definition of art is. We are excited to bring together our team of designers, editors and photographers to execute this next step. Lead by Charles Boyce, Dan Donohue and William Benzon, our team is looking to work with local photographers who might have photos to contribute to the book or interest taking new photos of our sites. The drop dead date for photo submissions is April 1, so if you want to get involved get up and go! Please contact Charles directly if you have any questions and make sure the images are High Res JPGs. To follow up our star-studded Village Elders 001 compilation we needed something potent, so for our sixth release we’re proud to announce the debut of Berlin veteran Franklin de Costa on Green Village. De Costa will be familiar to fans from his recent pair of collaborative EPs with DJ Spider on Killekill, and he boasts a longstanding alliance with Belgian deep techno and house headquarters Curle Recordings, amongst many other releases on prestigious labels. After nearly a century since it was blasted out of the Palisades, the Bergen Arches and Erie Cut are making headlines again as they are reinterpreted as a open space project rooted in the rich history of Jersey City. Local business Green Villain has assembled a team of architects, designers, scholars, community activists, videographers and media outlets to help reconceptualize an abandoned train tunnel into a cultural destination in the heart of Jersey City. Bergen Arches is the common name for the Erie Railroad’s mile-long, four-track cut through the Palisades in Jersey City. It linked the railroad's main line to the Hudson River waterfront and eventually Manhattan, for it's 30,000 daily passengers. The passage was finished in 1910, though since the last train in 1959, the Bergen Arches has become overlooked and almost completely forgotten. So + So Studio, a Berlin based architecture firm has teamed up with Jersey City based place making organization, Green Villain, as well as local residents and activists to present their vision for the redevelopment of The Bergen Arches. They strive to engage the general public and continue the conversation about urban land conservation and spark a movement that reactivates Jersey City's backyard—The Bergen Arches. With focus on preservation and adaptive reuse, the team proposes site specific landscape and architectural interventions to create a new public park and walkway, a place to promote local artists and boost Jersey City’s overall cultural reputation. 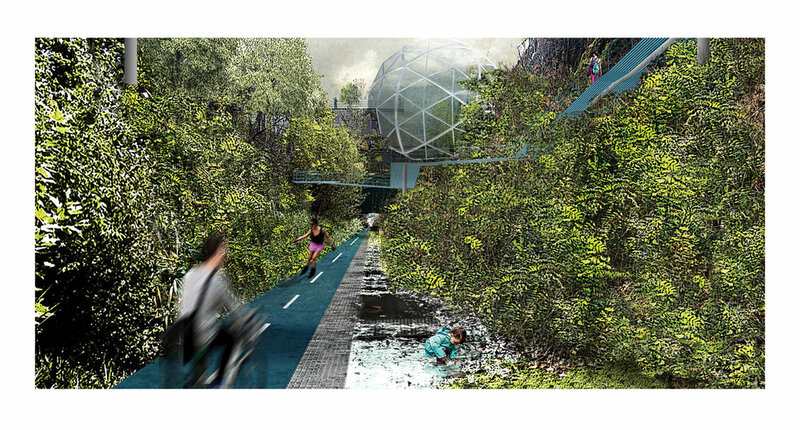 A series of paths could explore the Erie Cut, sixty feet below the hustle and bustle of everyday life, through an elevated system of ramps and walkways that meander through the vegetation canopies, sculpture gardens, murals and more. As post-industrial cities continue to amass mid to high-rise towers, it is imperative that we look down as much as we look up for the answers about individuality and place. The stick and steel will allow the residents to live here, Restaurant Row to eat here, but without Jersey City-centric projects that allow us to compete on the global stage we will always be haunted by the specter of placelessness. The Bergen Arches project is the answer. Help us to reclaim and revitalize these spaces that bare such history and call for a creative future for Jersey City. Join our email list and follow our Instagram. And please share this project with your circle. Attention Boston we were invited to be a part of the Secret Walls x Pow Wow Worcester event taking place on August 27th. If you are close to the area mark it down in your calendars and join us. We will be playing records with our Boston based label mates Dan Fernandez & Lindale. Learn more about the week long festival and event here. Green Villain Exchange (GVX) is a platform in which creatives from our record label, gallery, mural program and extended network come together under one roof to do what we do best—parties. Our opening celebration will take place on July 23 from 12PM-10PM at 335 Barrow St, Jersey City (GVM022) and you are all invited! We will have River Horse fresh and on tap while Incrediball’s and Taco Truck will be serving up the sauce. Suvas and More Records, will be selling soft goods and the musical line is what you should expect from us, Green Village label showcase featuring DJ Spider, Dakini9, Dave Q and 3 hour b2b set with Tro, Cloy & Em-Et. We are also working with Montana USA to put together a site specific mural installation from the AIDS crew—Mustart, Distort & Clarence Rich. Save the date and spread the word. If you are not familiar with this site peruse GVM022. Storming into our fifth release from the dirty shores of New Jersey, Green Village is proud to present Village Elders 001, a compilation EP featuring new material from artists who have already flown the flag for GV. The A-side is held down by the Plan B duo of DJ Spider and Dakini9, purveyors of the Metro Area’s dirtiest and deepest house sounds. 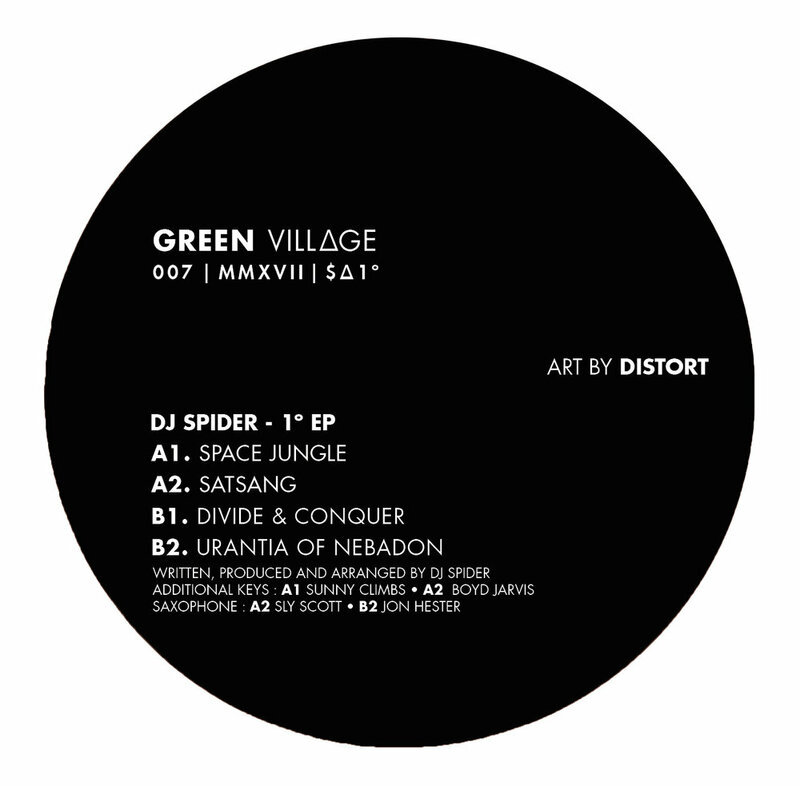 Spider gets toxic a second time, following his 2013 Instruction drop with ‘Toxic Trace 2’, a thickly layered deep house cut whose seedy percussion underbelly contrasts vividly with the more traditional deep house pads that accompany it. Dakini9’s ‘Lost Paradise’ is dark and mysterious like its title, the hats, trumpets, and vocals emerging in tangled webs of dub effects, a strong follow-up to her dope EP for the label. Disaroen, a duo from Toronto, half of which previously appeared on GV, turns in the most barren of the four tracks, ‘Serious Doorman’, heads-down techno that crackles to life halfway in and an auspicious debut for a promising new group. Last is NJ heavyweight Nicuri, a rising star whose ‘Ripples of Time’ closes the EP in his signature searching, melodic style. Our friend BD1982 of Diskotopia asked us to put together a short mix for his weekly radio show that is housed inside Red Bull Studios Tokyo. Fresh off the heels of Fox’s Yokai EP and with Village Elders 001 test presses in from France, the mix unfolded into a purely village affair. Only 1 of the tracks is released and the mix features forthcoming material from DJ Spider, Franklin De Costa, Dakini9, Eighth Ruin, Disaoren & BD1982 himself. Play back on their mix loud page. After much anticipation our third vinyl release is finally hitting shelves. Halycon has invited us to the shop to spin some records in celebration of the release and we want to invite you all to join! In classic fashion we will have River Horse on deck as well as tons of merch, stickers, our back catalog and more. Sets from Fox, Cloy & Em-Et. 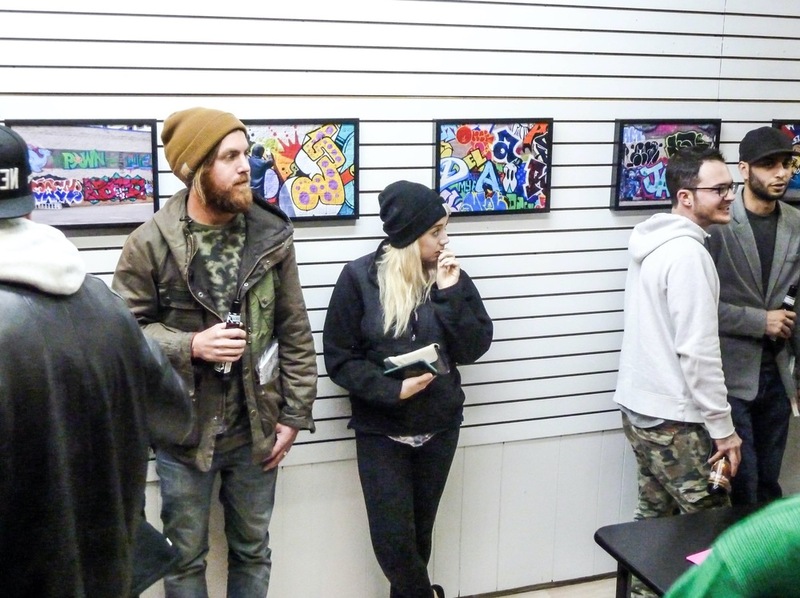 After a year of painting #GVM004, evolution took over and the #DemolitionExhibition was born. At it’s conception it was the same thing as always, a platform for artists. But it was obvious after a our first outdoor event in April that this was far bigger than we anticipated. We weren’t just providing a platform anymore, we were creating a place, and by we, we mean everyone involved. The photographers, artists, visitors, patrons, vendors, passerbys, whomever. Everyone took a piece of the Demo Expo home with them, shared it with their sphere and it grew. Today nearly 4 months later, that same exhibition is coming back but in a different format. Opening December 18th at 6PM, located 1 block from Journal Square Path Station, the Demolition Exhibition returns with a photo driven print show and book launch. At the same time Suvas will be dropping a new capsule collection which features a new snap back and long sleeve tee, as well as all select items from their past collections. We will have all our merchandise, prints, our label’s catalog and cassettes and more. Expect the usual complimentary River Horse (while supplies last), vinyl selectors, giveaways, and of course that 1º atmosphere. More soon.